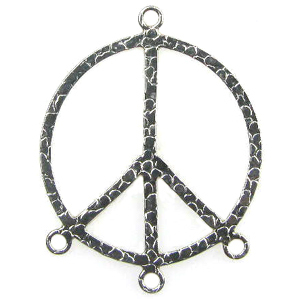 Adorable Sterling Silver Chandelier Earring is a textured Peace Symbol with 3 attaching rings at the bottom. Measures approximately 21mm. Price is for one pair (2 earrings). Also available in 14k Gold-Filled!